An informal Carol & Christingle service was led by Rev.Gillian Robertson with members of Park Grove Methodist church also present. 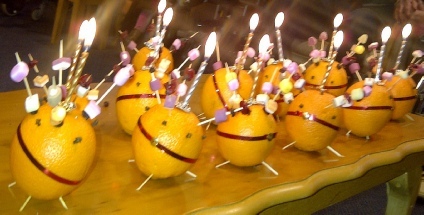 The room was packed with residents at the service where we sang Christmas Carols and heard about the Christingle. 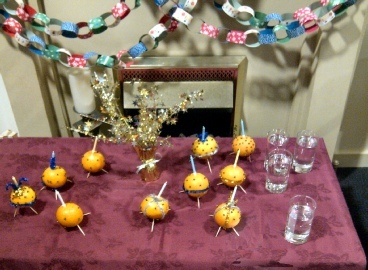 The Orange represents the World and the candle is Jesus - the light of the world. The red ribbon goes all round the world and reminds us of the blood Jesus shed when he died for us. The four cocktail sticks could have either of two meanings: the four seasons or the four corners of the world and the sweets (or sometimes dried fruit) remind us of God’s gifts to the world including kindness and love.